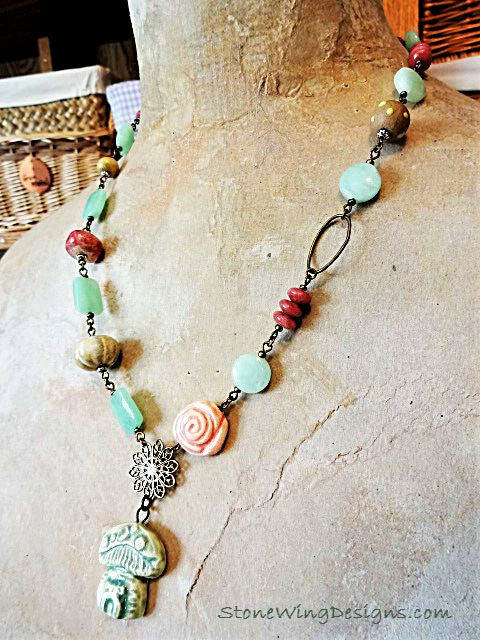 I love natural stones and Artisan Ceramic, and one of my favorite artists is Gaia. 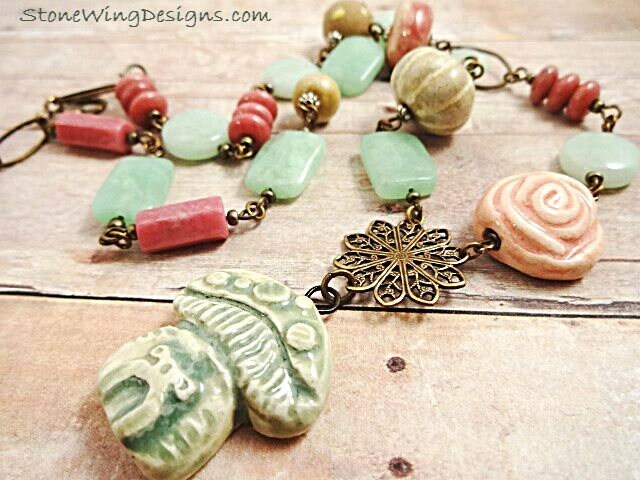 The Gaia Ceramic mushroom house has a faerie tale appeal, and I couldn't resist pairing it with the lush rose pink of Rhodonite and airy green mint of these Mint Chrysoprase rectangles and coins. 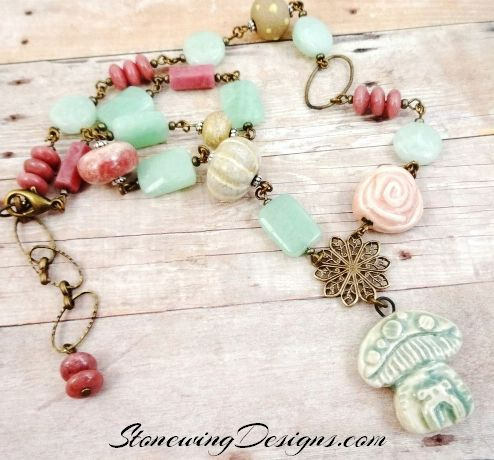 You'll also find a few more Gaia Ceramic beads in the necklace: a pink rose, off white pumpkin, a rose colored rondelle and a tan bead with yellow dots. There's also an antique brass filigree flower in the center, and an antique brass oval ring. 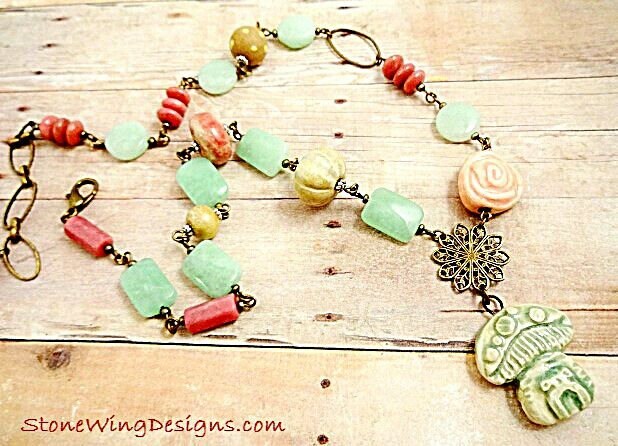 I wire-wrapped each bead in antique brass wire and added silver plated spacer beads, an antique brass lobster clasp and antique brass oval links. Length: adjustable from 18 to 20 inches. This one will be hard to part with as I love how it all came together.